Sitting down I especially fell in love with the gorgeous church-like windows, that are flooding the room with light and add a slight art deco vibe. I was lucky that day to meet one of the three owners of the Café, Tillmann. He told me more about the history and the development of the space. This room formerly functioned as a chapel, where funerals were held. 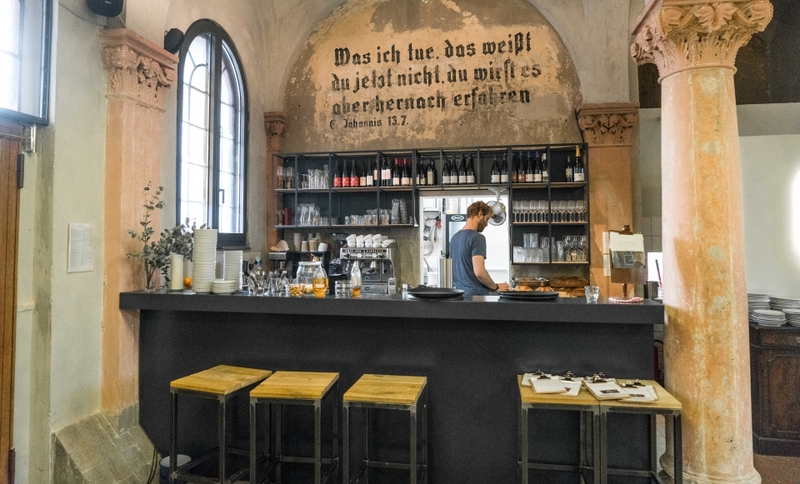 The three founders renovated the space and also unexpectedly uncovered old German writings on the wall, that would have otherwise been forgotten. 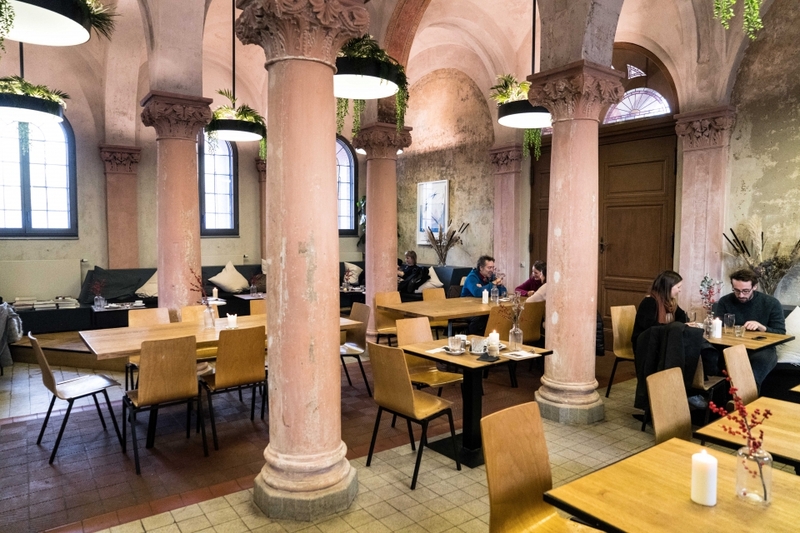 The mixture of authentic old chapel feels and modern furniture, contrasted by cool hip hop music, make this is a very unusual but unique place to take your friends to. Foodwise they offer a wonderfully curated menu of breakfast dishes. From delicious and healthy choices such as salmon, avocado and eggs on sourdough bread to amazing buttermilk pancakes with hot blueberries and marinated apples. The prices remind me of the old days before cafés started to overcharge as soon as they reached hipster status. Smashed avo here for only 6,50€, guys! 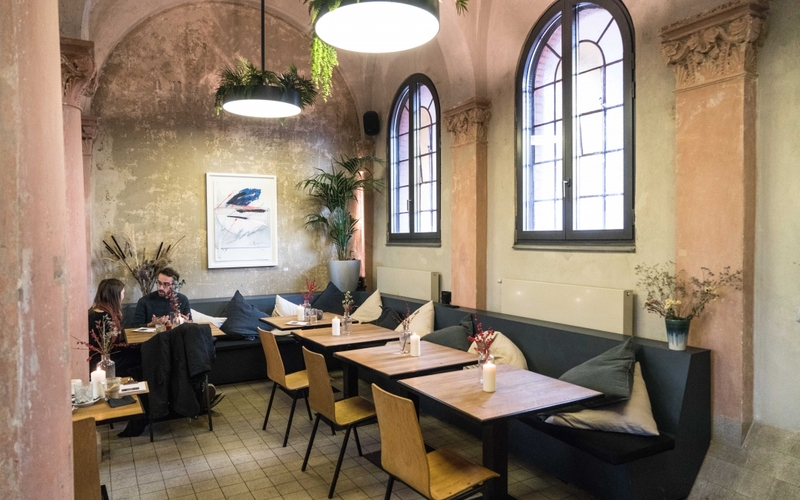 21 Gramm has only been open since last summer, but Tillmann’s concept of integrating cafés into chapels has been a huge success. 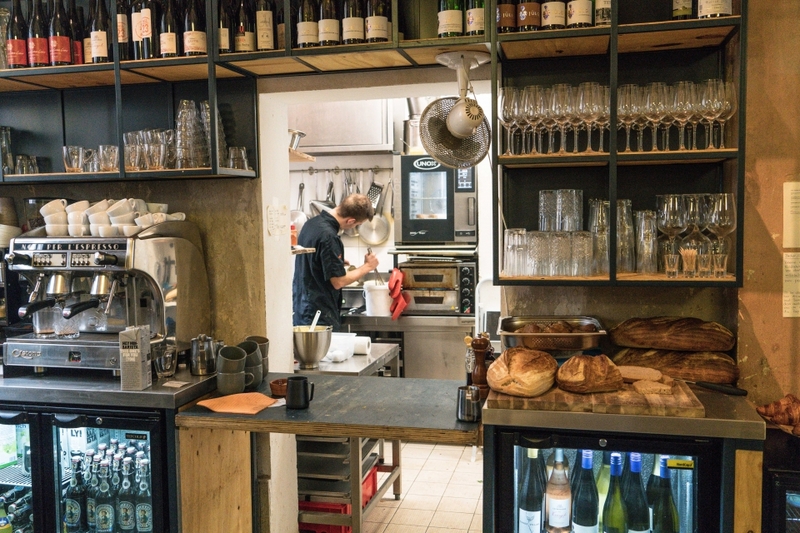 On my way out, I couldn’t help but ask Tillmann curiously: Why is it actually called 21 Gramm? He paused for a moment, smiling meaningfully and then explained: “According to an old study, humans on average lose 21 gram after their death. That was used to describe the weight of our soul, that’s leaving our body after we’ve passed on.” Wow. What a meaningful name! This place won me over! And I hope, you too, soon.